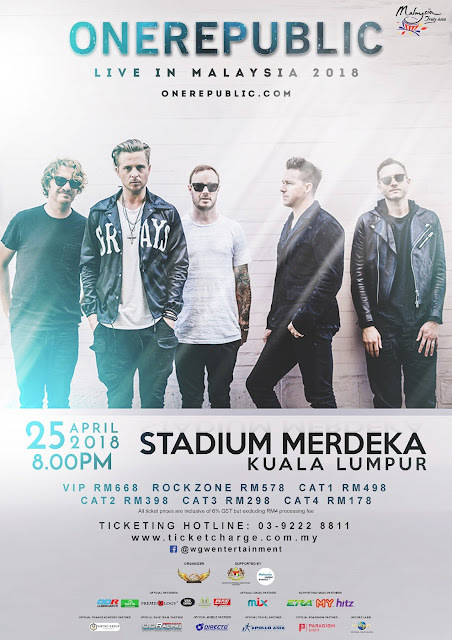 09 March 2018 – Kuala Lumpur, Malaysia: The largest global sports media property in Asian history, ONE Championship™ (ONE), treated fans to another exciting evening of world-class martial arts action. 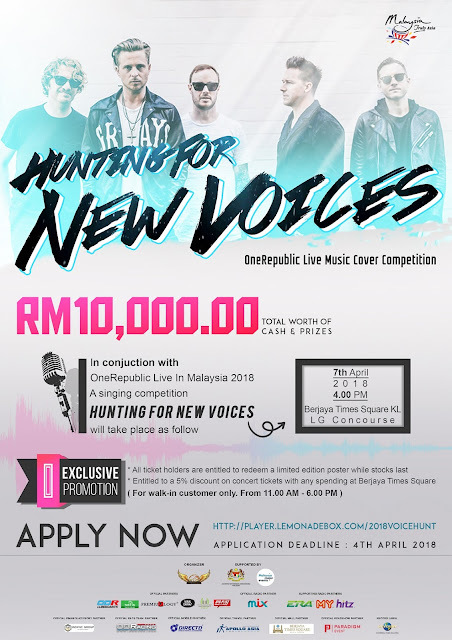 The packed Axiata Arena in Kuala Lumpur, Malaysia played host to ONE: VISIONS OF VICTORY, which featured the absolute best in local and international martial arts talent. 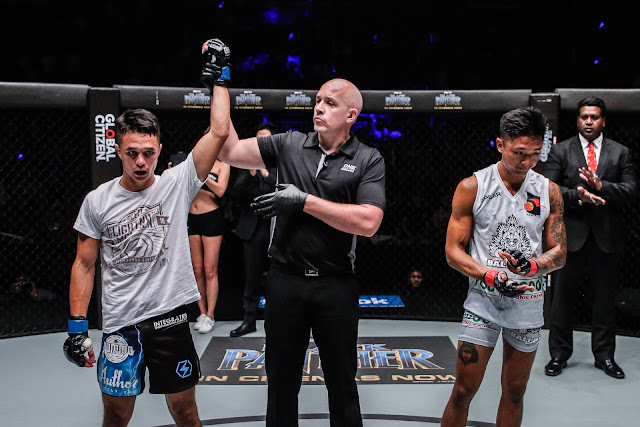 In the main event, Australia’s Reece “Lightning” McLaren silenced the crowd with a shocking arm triangle submission victory over hometown favorite Gianni Subba . 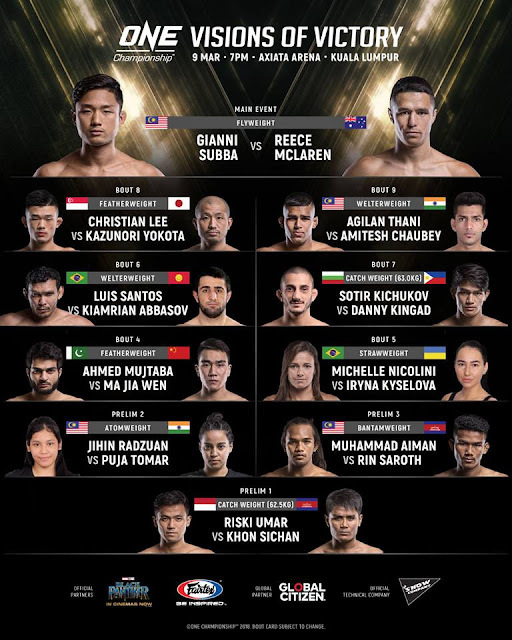 In the main event of ONE: VISIONS OF VICTORY, 26-year-old Reece “Lightning” McLaren of Gold Coast, Australia turned in a spectacular performance by routing Malaysian hometown hero Gianni Subba, solidifying his position as a top contender in ONE Championship’s stacked flyweight division. 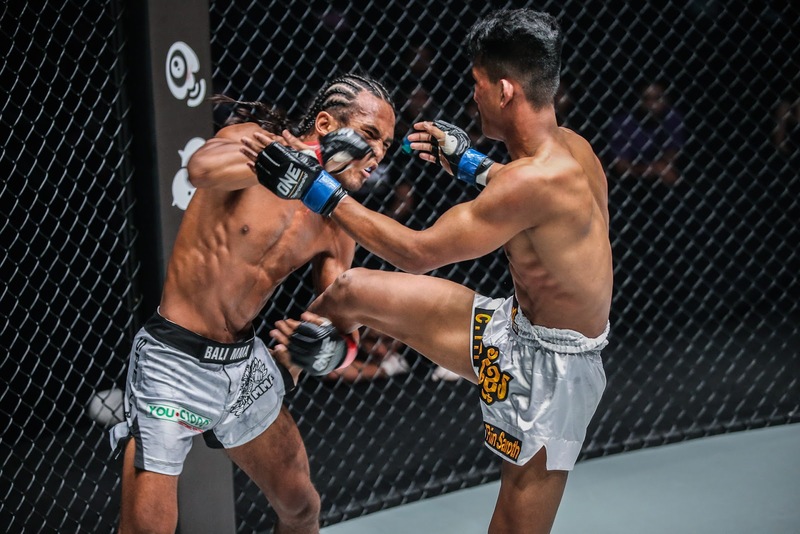 McLaren flaunted his fluid striking, repeatedly hammering Subba with stinging punches and lashing leg kicks. In the end, McLaren’s impeccable ground game secured the finish for “Lightning” as he forced Subba to wave the white flag with an arm triangle submission in the second round to win in a ONE Flyweight World Championship title eliminator. 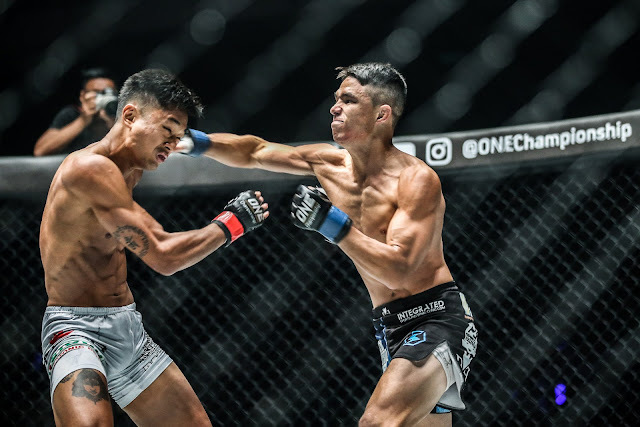 In the co-main event of the evening, 22-year-old Agilan Thani authored another awe-inspiring performance, overwhelming ONE Championship newcomer Amitesh Chaubey with his thunderous slams and powerful ground-and-pound. The action began with strikes at the center of the ONE cage as Chaubey goaded Thani into a striking exchange. 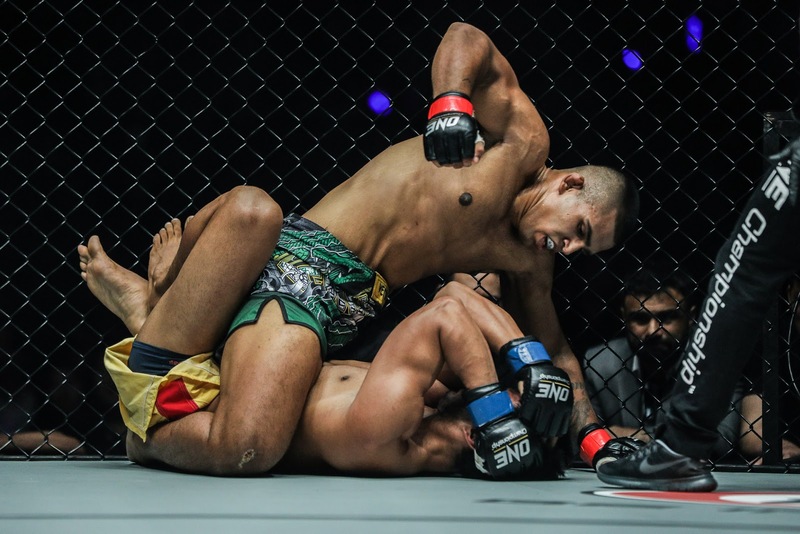 Once Thani was able to close the distance however, the Malaysian wrestler dumped Chaubey onto the mat and easily transitioned into full mount. From top position, Thani blasted Chaubey with ground strikes to finish the round. The second round saw much of the same from Thani, but after another overhead slam that ended in side control, “Alligator” immediately sourced an Americana to force the tap . With another spectacular performance, 19-year-old Christian “The Warrior” Lee marched to victory once more, submitting Japanese veteran Kazunori Yokota with a deep guillotine choke in the second round. 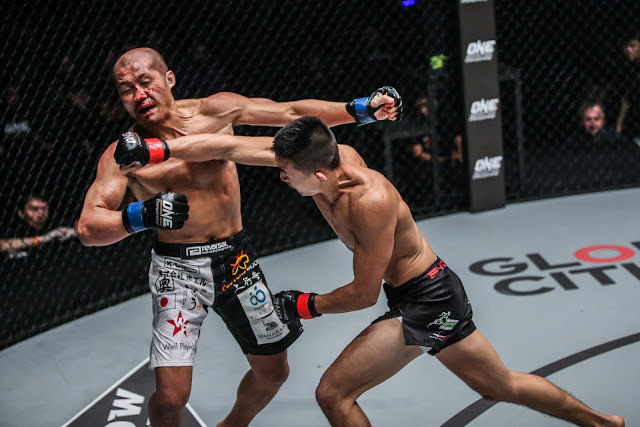 Lee overwhelmed Yokota from start to finish, keeping his opponent on the defensive with his striking before taking matters to the ground. On the mat, Lee continued to dominate, easily transitioning to full mount while punishing Yokota with hard blows. 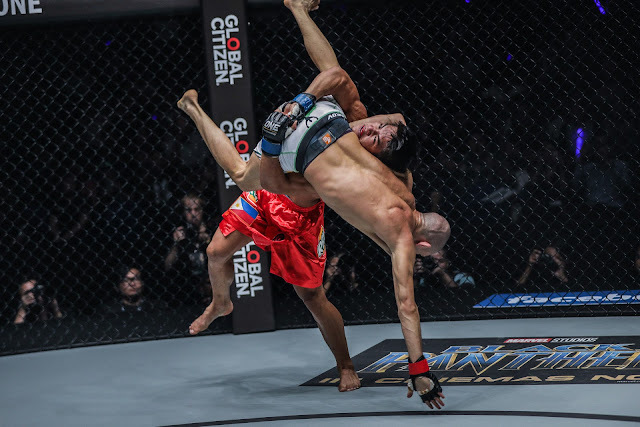 In the second round, Lee sunk in a guillotine choke, leaving Yokota with no other option but to tap. 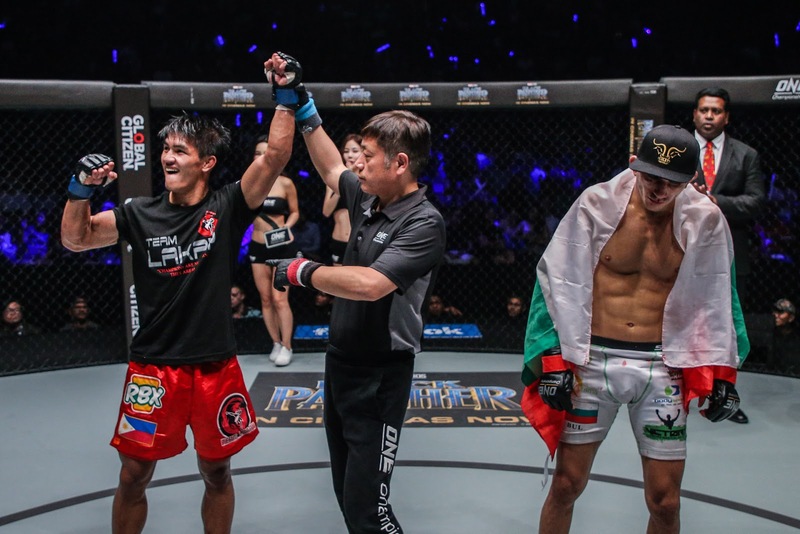 After falling short in his bid to become a world champion last November, former flyweight title challenger Danny “The King” Kingad reinserted his name into the winner’s column, picking up a hard-earned victory at the expense of Bulgarian martial artist Sotir Kichukov. With an incredible display of strength, Kingad impressed with a high-level striking and grappling performance after three fierce back-and-forth rounds. 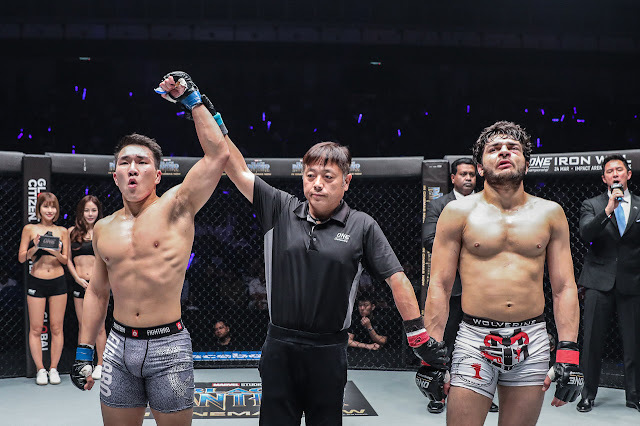 Kingad, who enjoyed most of the bout uncorking his lashing hooks and scoring successful takedowns, wore down Kichukov with hard blows from dominant positions. Despite Kingad’s menacing advances, Kichukov did not go down easily as he fished for submission finishes both in the second and third rounds. 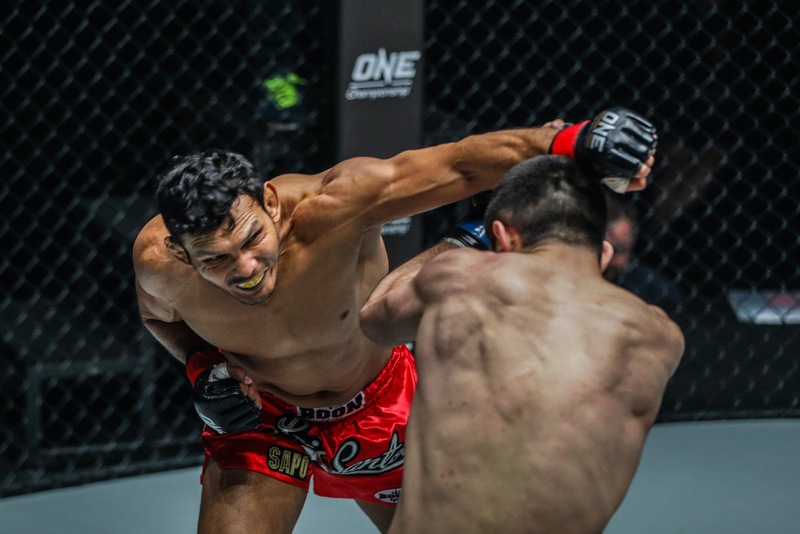 However, Kingad powered himself out of Kichukov’s attempts and outlasted his opponent to earn the unanimous decision. In a gruelling three round contest, Luis “Sapo” Santos of Brazil overcame a tremendous effort from ONE Championship newcomer Kiamrian Abbasov of Kyrgyzstan to win by unanimous decision. 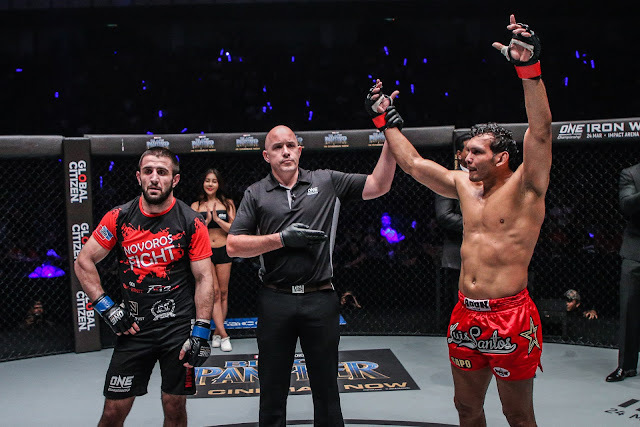 The 38-year-old veteran displayed his familiar power early, tagging Abbasov with thudding high kicks and sharp combinations. 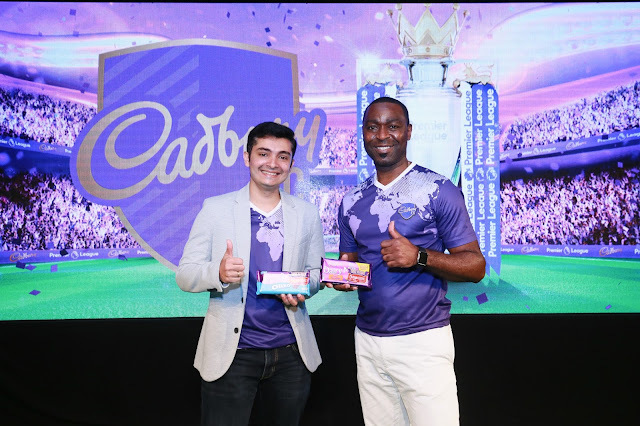 Despite Santos’ striking dominance however, Abbasov was able to survive the onslaught and take the Brazilian to the final bell. In the end, all three judges scored in favor of Santos. 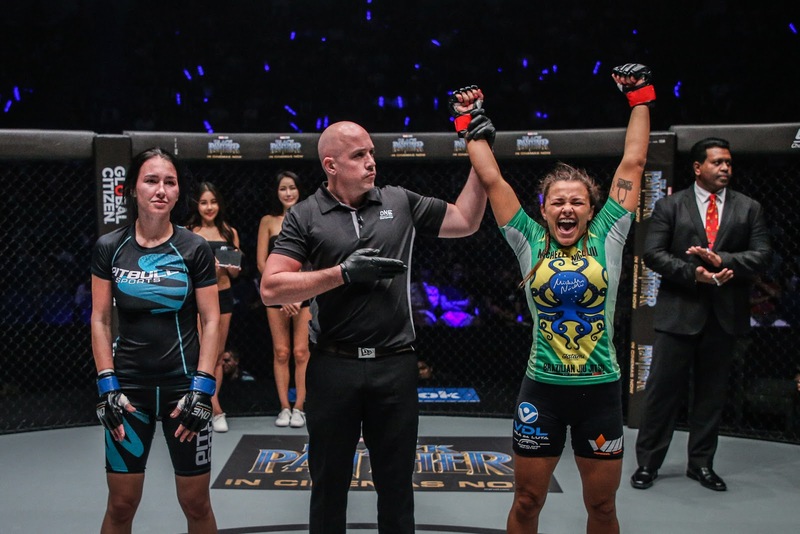 Eight-time Brazilian jiu-jitsu world champion Michelle Nicolini aced her third assignment in ONE Championship, putting Ukrainian opponent Iryna Kyselova to sleep courtesy of a wrenching rear naked choke in the first round. 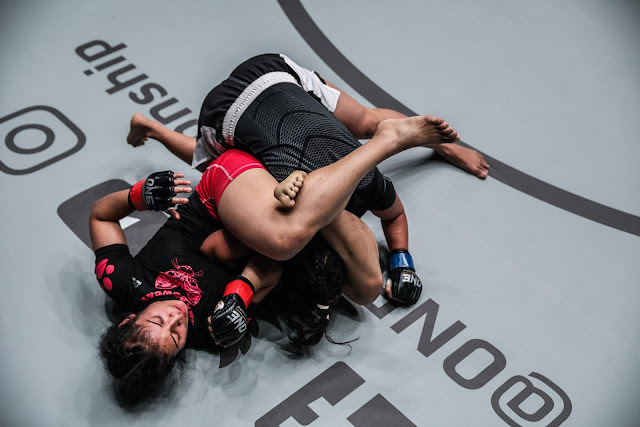 Nicolini wasted no time in taking matters right into her comfort zone on the mat, effortlessly converting on a takedown attempt from the get-go. 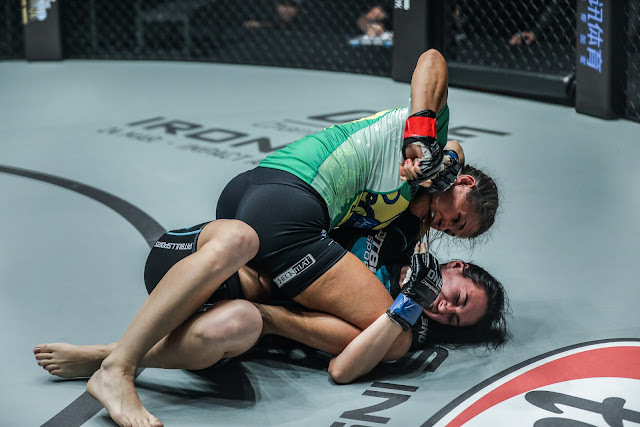 Once on the canvas, Nicolini worked her magic and finished Kyselova by submission. 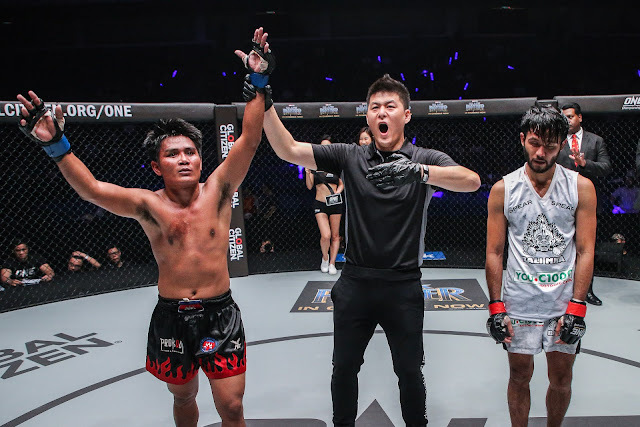 “Cannon” Ma Jia Wen of China showcased incredible grit and toughness as he overcame a furious start from Pakistan’s Ahmed Mujtaba to win by submission. Mujtaba stormed out of the gates, immediately scoring a takedown and then positioning himself on top to pummel Ma with ground strikes. 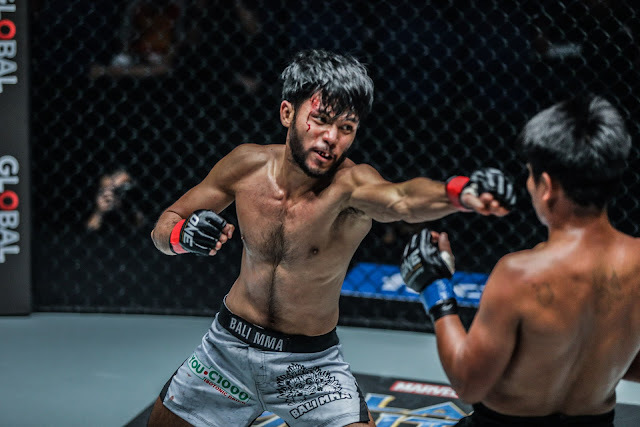 Ma was able to return to his feet however, and towards the end of the round, he landed a beautiful left hook to the chin that sent Mujtaba crashing to the canvas. By the start of the second frame, Mujtaba appeared exhausted, prompting Ma to capitalize on the opportunity. Ma’s ground-and-pound and positional control gave him the perfect opening to fasten a bout-ending choke to earn the victory. 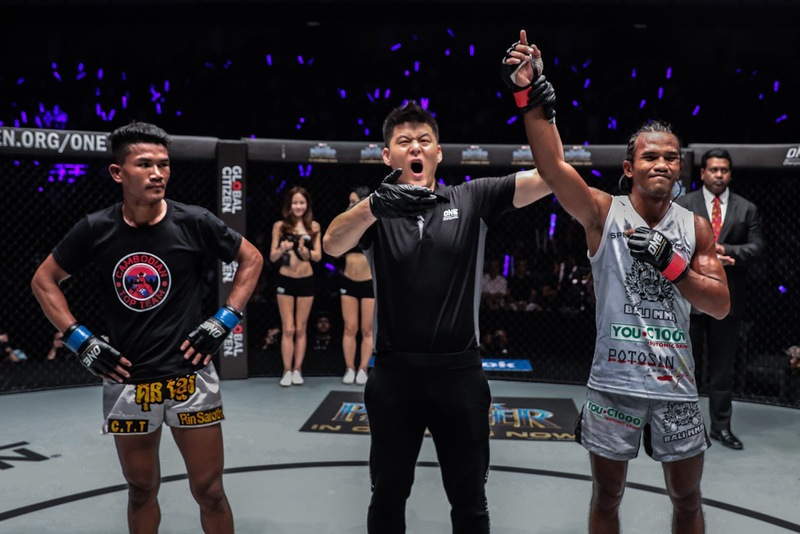 Rising star Muhammad “Jungle Cat” Aiman of Malaysia sent his hometown crowd into a frenzy with an inspiring performance, sneaking just past Cambodia’s Rin Saroth on the judges’ scorecards to win by three-round unanimous decision. 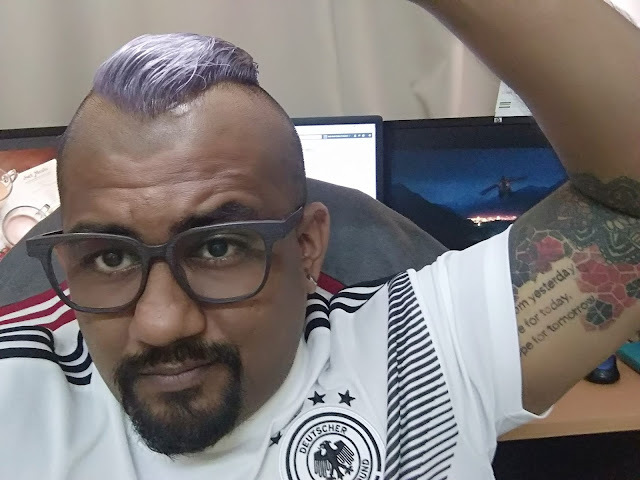 Although Saroth put up a spirited effort, peppering Aiman with his khun khmer strikes, the Malaysian employed a well-rounded offense featuring solid mat work to score the hard-earned victory. 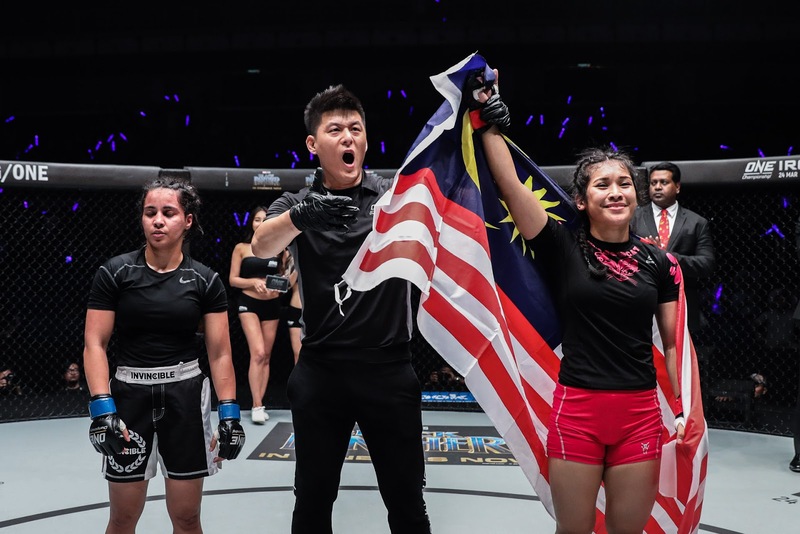 19-year-old “Shadow Cat” Jihin Radzuan made her highly-anticipated ONE Championship debut a successful one, impressing fans with her crisp striking and solid jiu-jitsu to defeat opponent Puja Tomar via second-round submission. It was an exciting contest to start off but after Radzuan got her rhythm, Tomar began having difficulty fending off submission attempts. In the end, a triangle choke from Radzuan forced the tap at the 2:23 minute mark of round two. 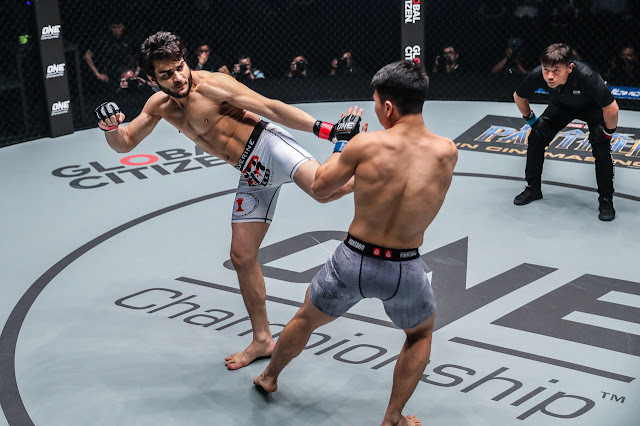 Kicking off the action at ONE: VISIONS OF VICTORY were Cambodia’s Khon Sichan and Indonesia’s Riski Umar, who gave fans three gruelling rounds of maximum effort. 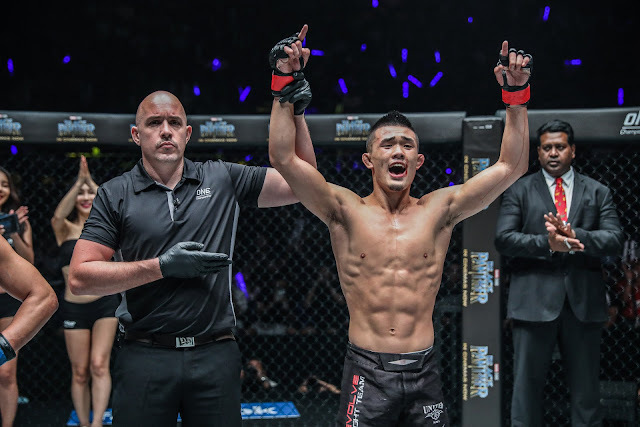 After an intense exchange of striking and grappling, it was Sichan who was able to pull away slightly on the scorecards to win by split decision.